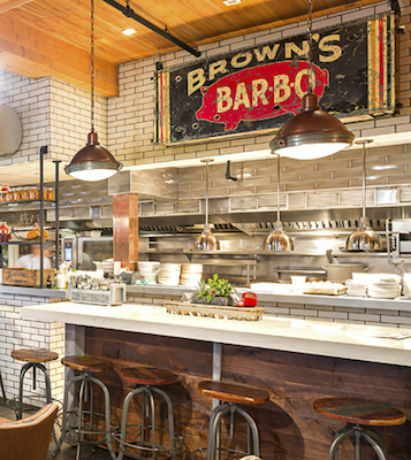 See how the sausage is made – almost literally – at these kitchen-side seats where you can watch the culinary goings-on while you eat. 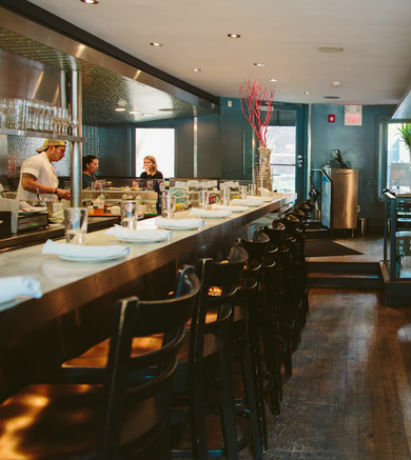 From intimate little tables for two that put you right in the middle of the action to first-come, first-served counters, you can see cookers, shuckers, ceviche-makers and sushi rollers doing their thing. Scroll on for 40+ spots where you can dine with a view. 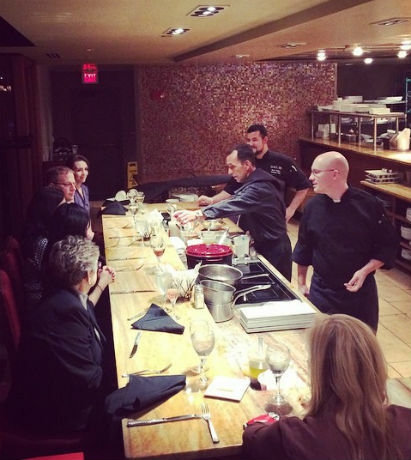 Historic Concord’s 80 Thoreau is home to a four-seat counter that overlooks the restaurant’s open kitchen. Dine here on Thursdays, Fridays or Saturdays and enjoy a five-course tasting menu carefully created and curated by chef Carolyn Johnson and her team. 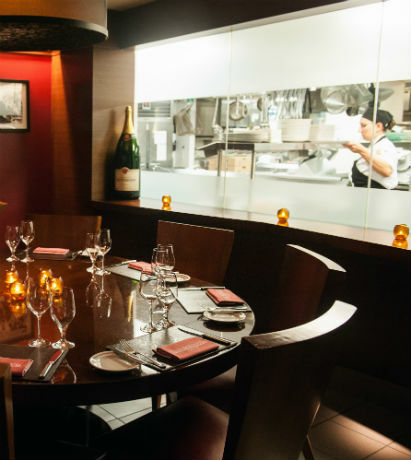 Alden & Harlow’s high-top chef's table provides the perfect opportunity for curious diners (in parties of two or four) to take a peek under the hood to see how the engine of a restaurant runs. Guests can watch cooks work their culinary magic in the rustic-chic kitchen, all while enjoying a four-course meal. 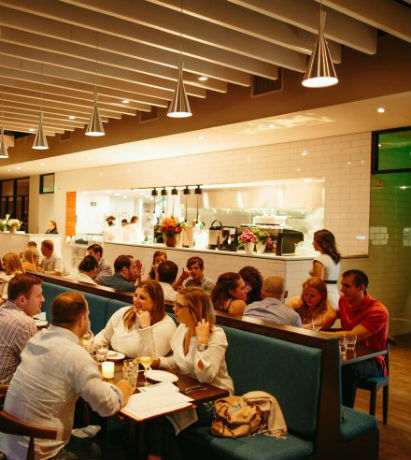 Belly up to the bars at the Boston outpost of Mario Batali's Babbo. 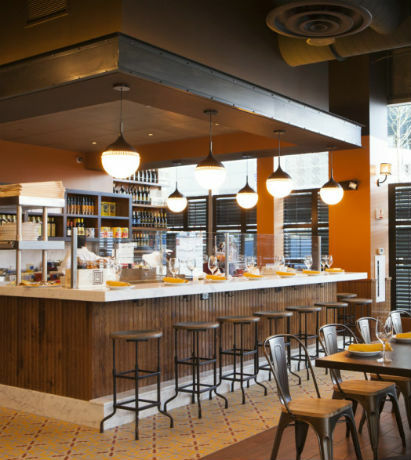 Whether pizza or antipasto is your pleasure, the restaurant provides chef's counter seating so you can see your dish through from start to tasty Italian finish. The shuckers take center stage at B&G Oysters, where guests can watch them in action behind the Oyster Bar. The shellfish experts at the South End spot may even share a tip or two for opening the tasty little bivalves with grace and speed, which is pretty much the name of the game. Bar Boulud's chef table gives guests a peek at the goings-on in the kitchen from a private perch. As many as eight guests can sit down for a customized, seasonal menu overlooking the chefly happenings, with details on the dishes provided by the chef himself. At Bar Mezzana you can keep your eye on the kitchen while keeping a comfortable distance (y'know...if you can't stand the heat). Reserve one of the two-tops situated right in front of the open kitchen to watch chef-owner Colin Lynch and his team doing their thing. 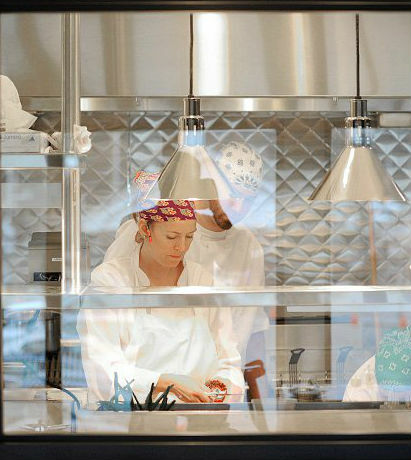 Enjoy the best of both worlds at BISq's chef's counter which looks right into the bustling, open-concept kitchen. You can take in the sights and sounds of the back-of-house hard at work while you bask in the front-of-house ambiance (preferably with a glass of wine). 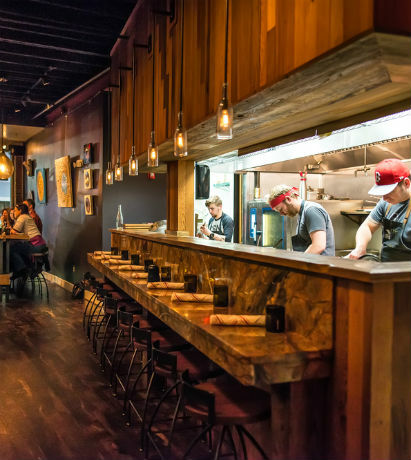 BOKX 109 has a chef's table that doubles as a demo kitchen. One side seats eight while the other features a stove, oven, and all the necessary cooking equipment. Make reservations 5 days in advance to enjoy a tasting menu or custom multi-course menu prepared right before your eyes. 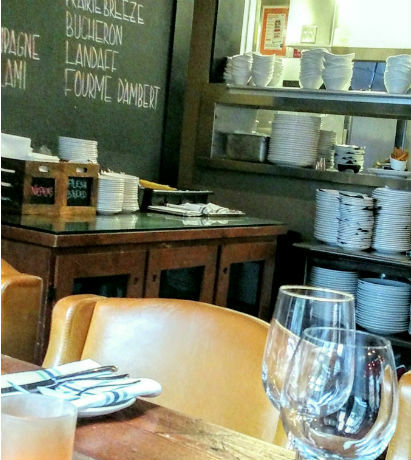 See what's cooking - literally - at Bostonia Public House with a place at their kitchen-adjacent dining table. Guests get a peek at the pass and the culinary goings-on beyond from the comfort of their chair. Get all the warmth of Tony Susi's Italian kitchen—from a comfortable distance—with a table close to Capo's spacious back of house. 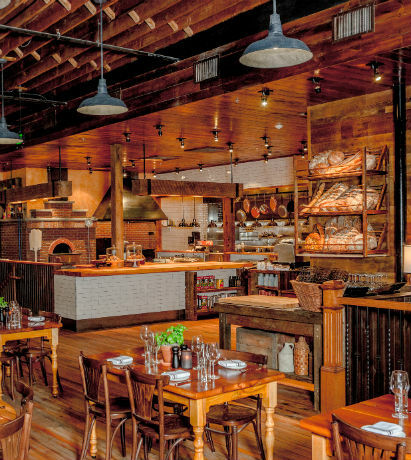 You can see the chefs at work, prepping, plating and pizza-making, at any of the tables that border the wood-fired brick oven. 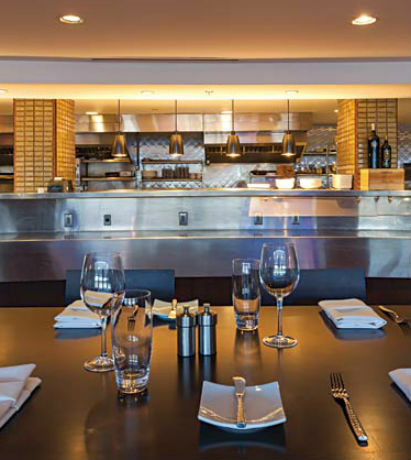 The dining room at Chopps American Bar and Grill features warm woods, leather furniture and stylish brass accents as well as a chef’s table situated right in front of the open-concept kitchen. With reservations at the table, guests will be able to meet the chefs and look on they prep, cook and plate the night's tickets. 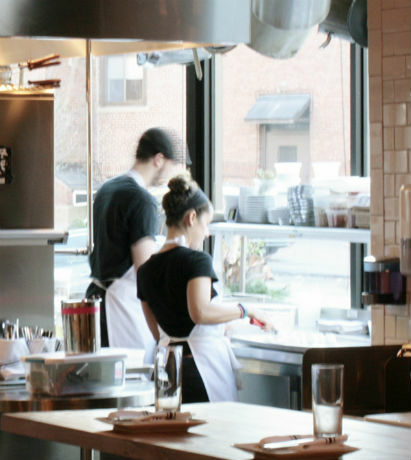 They're all about the open kitchen concept at Comedor, Newton's Chilean/American go-to. Diners can watch chefs and husband-and-wife duo Jakob and Fernanda White doing their culinary thing from counter seats over looking all the action.